SpaceX is in the process of preparing to launch BulgariaSat-1, with the first attempt scheduled for Saturday, June 17th between 2:10 p.m and 4:10 p.m. EST. BulgariaSat-1 will be Bulgaria’s second satellite ever and will act as a telecommunications hub in geostationary orbit, around 30,000 miles above Earth. Following a highly successful launch and docking of the eleventh cargo mission of its Dragon spacecraft, Launch Complex 39A has since undergone routine checks to verify its condition and has likely been lightly repaired. The static fire for the upcoming mission is scheduled as early as tomorrow. Both the static fire and launch were pushed back two days due to a 48 hour delay of the CRS-11 launch. The launch of BulgariaSat-1 is already exceptional for several reasons. First and foremost, the Falcon 9 first stage to be used in the upcoming mission has already flown once before, assisting in the successful launch of Iridium’s first ten NEXT satellites in early January of this year. 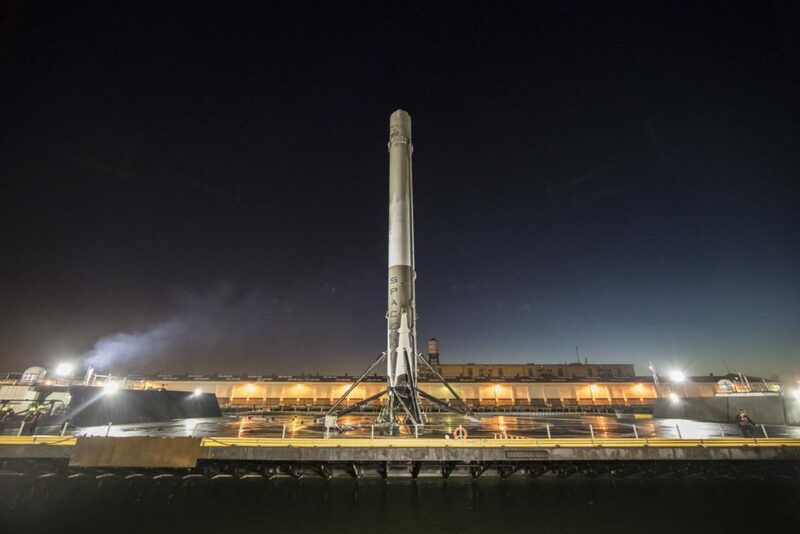 It will thus mark the second time SpaceX has truly reused a Falcon 9 first stage. There has even been a bit of circumstantial evidence that the choice to launch on a recovered F9 resulted in BulgariaSat-1 being moved ahead of Intelsat 35e, which is now scheduled for no earlier than July 1st. Regardless, another successful reuse will be a boon for a SpaceX in the throes of an unprecedentedly busy year of launches by once again demonstrating the viability of their program of reuse and thus hopefully swaying more customers to take the leap to reused rocket cores. The second reason, as touched on above, is that BulgariaSat-1 will mark the beginning of a two week period in which SpaceX could potentially conduct three separate launches, two at Cape Canaveral and one at Vandenberg Air Force Base. If successful, this would demonstrate weekly single-vehicle launch cadence, something that has not been seen in the launch industry in quite some time. This weekly cadence, if successful, will demonstrate a maturing company that is truly preparing for extraordinary launch cadence. 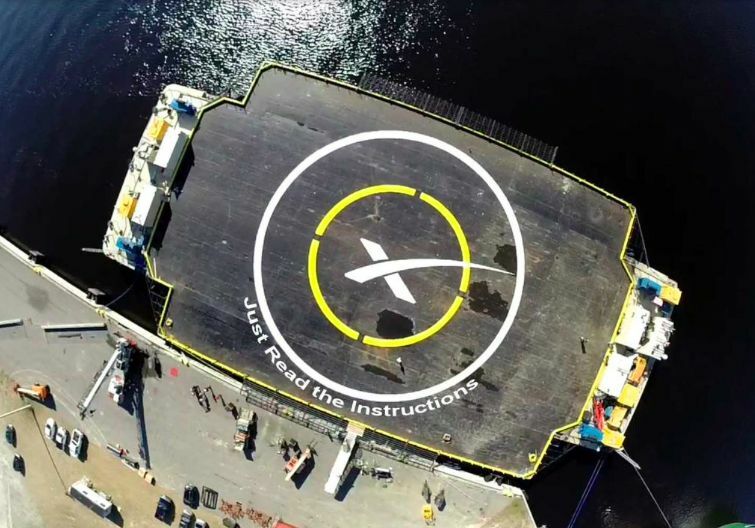 By using two pads, one in California and one in Florida, SpaceX will still be able to provide two weeks between launches in order to prepare each launch site for the next launch, while effectively launching once a week. While Vandenberg Air Force Base can only support polar orbit launches, LC-40 is currently deep into the process of being repaired and reactivated following the failure of a Falcon 9 late last year. 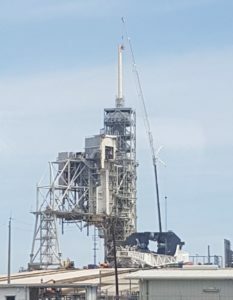 With LC-40 preparing for reactivation sometime in August or September, SpaceX will find themselves at long last with two viable all-purpose launch pads in very close proximity to each other. By staggering launches on each pad and continuing to maintain the two week pad turnaround time after launches, SpaceX could theoretically begin to sustain regular weekly launches as few as three months from now. A successful weekly cadence this month could reinforce that such a sequence of events is a possibility. SpaceX has long been working to rapidly increase its ability to launch frequently, and this year has been an exceptional example of several pieces fitting together. The company has begun to use an automated flight termination system, which will allow them to rely less upon the availability of Cape Canaveral’s Range Officers while crafting their manifest and launch schedules. Normally, the flight termination system in rockets is monitored by an actual team of people who have barely a few seconds to decide if rocket telemetry is less than nominal and prevent what is effectively a large missile from impacting populated areas. SpaceX has replaced this with an arguably much safer approach dependent upon their mature autonomous avionics systems, simply meaning that computers on board their rockets and spacecraft automatically analyze telemetry and control vehicle performance and guidance. SpaceX has been testing this system in a way that is almost identical to Tesla’s method of installing inert autonomy software that can learn without actually controlling the vehicle, and it is consequently only now being implemented after SpaceX and the Air Force have a high degree of confidence that it will outperform its human colleagues. The ultimate goal of this automated flight termination system (AFTS), as well as many other significant changes to both the hardware of pads and vehicles, is to eventually allow SpaceX to accomplish Elon Musk’s long fabled and oft-ridiculed goal of 24-hour reusability, and thus 24-hour launch cadence. SpaceX and the USAF have both stated that AFTS alone will likely allow Cape Canaveral to support up to 48 launches a year. While shared between ULA and SpaceX, even 36 launches a year would effectively leave SpaceX with a shrinking launch manifest and significantly increased revenue and profit. This would speculatively allow them to more rapidly develop their pursuits of Mars, a vast constellation of broadband satellites, and more. Nevertheless, this is all of course speculation and dependent upon many things going well. 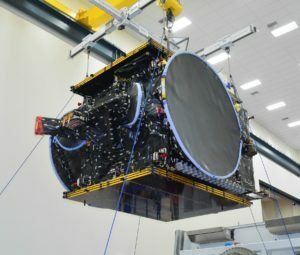 If SpaceX is able to successfully launch BulgariaSat-1 on June 17th, Iridium NEXT 2 on the 25th, and Intelsat 35e on July 1st, they will have successfully demonstrated the ability to support a weekly launch cadence and will have to do little more than wait for the availability of a second East coast pad to begin to take full advantage of it. With ten launches scheduled between now and October and ten more launches scheduled between October and the end of December, it is guaranteed to be one incredible year for SpaceX and their fans.